Koltov locksmiths are experts at home security. Whether you are locked out, need a new key or need to replace your locks, our locksmiths can do it right away. 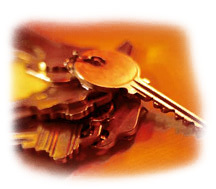 Our locksmiths carry a large variety of high quality locks for your home. We at Koltov believe that having a secure home is something everyone should have, let us help you secure your home and loved ones. Ask about our discounts for crime victims.